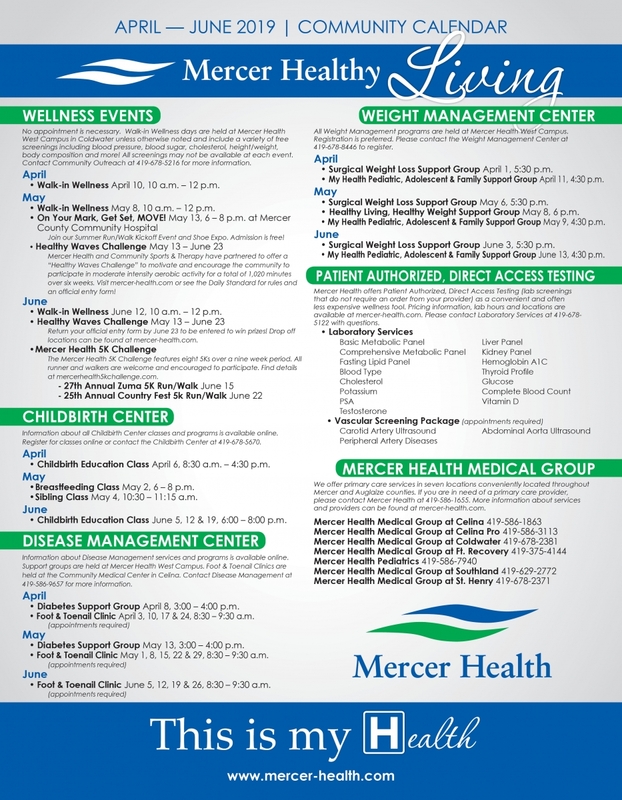 At Mercer Health, we strive to provide you with valuable resources to make your health a priority. Many opportunities, including free and discounted wellness screenings, health education, support groups and community events are offered monthly. Please contact Community Outreach at 419-678-5216 or email myhealth@mercer-health.com for more information. 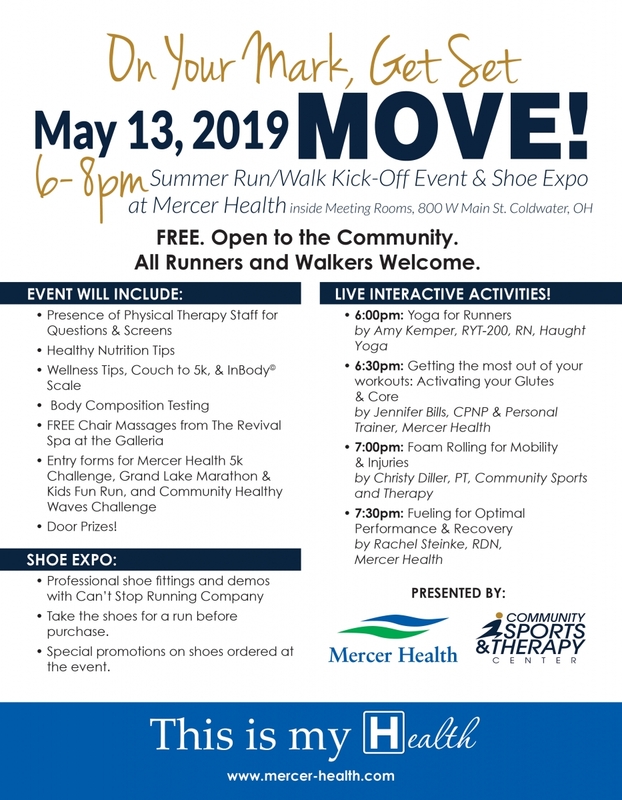 Join us May 13 for On Your Mark, Get Set, MOVE!, a summer run/walk kickoff event and shoe expo brought to you by Mercer Health and Community Sports & Therapy. 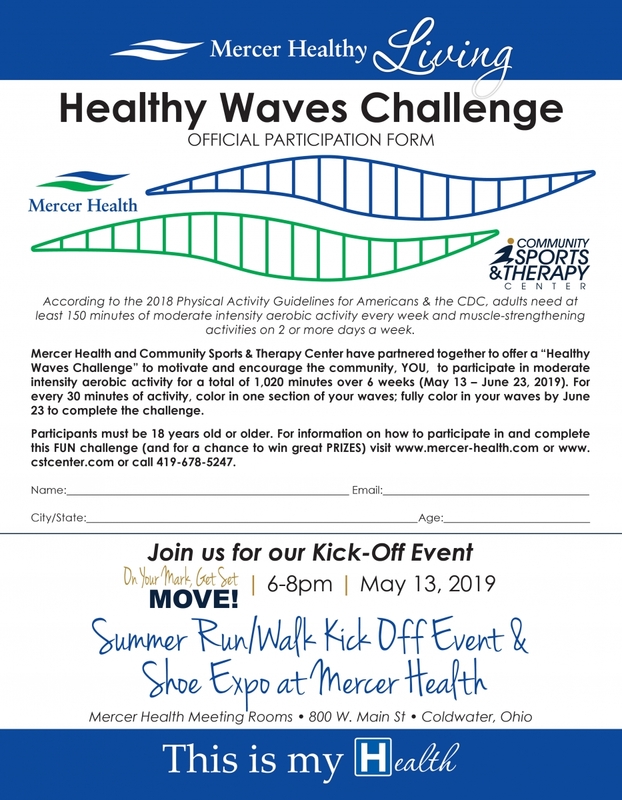 Mercer Health and Community Sports and Therapy 2019 Healthy Waves Challenge begins May 13 and runs through June 23. Participate in moderate intensity aerobic activity for a total of 1,020 minutes over the course of six weeks and be entered to win great prizes! Fill out an official entry form and submit it by July 1 for your chance to win. See official rules for more information.